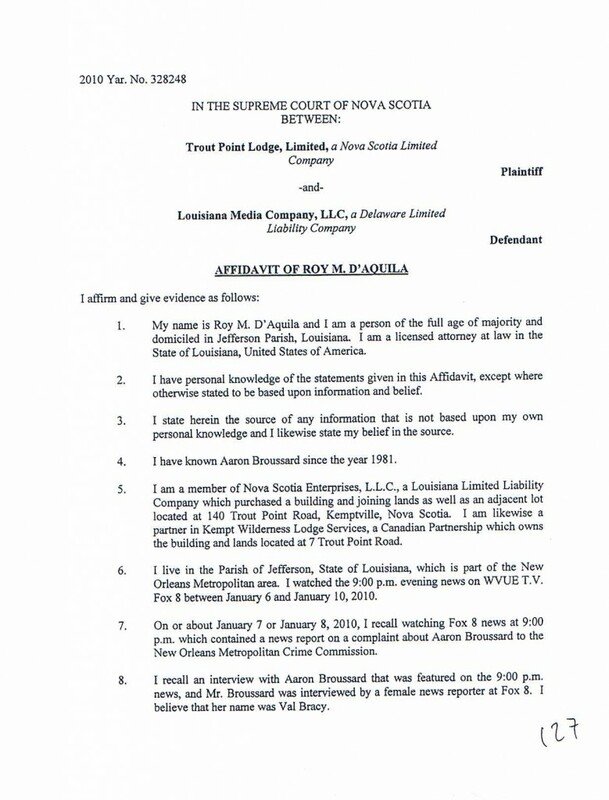 Let’s talk a bit more about Aaron Broussard’s “evidence of other crimes” involving the resort at Trout Point Nova Scotia and the use of SLAPP suits by his business associates in Canada. After reading Drew Broach’s piece and the latest filing by the federal prosecutors in the bribery case involving disgraced former Parish President Aaron Broussard I came away with the distinct feeling I had seen the name of his original Louisiana based LLC set up to accept bribes from Parish contractors that went to buy real estate at the Trout Point resort, Nova Scotia Enterprises, LLC. The connection is Broussard’s long time associate and part owner of the Lodge at Trout Point, Danny Abel but Abel’s name does not show up in the Team USA legal filing, rather we have a redacted list of the original investors. There is some interesting things in the redacted ownership document that was presented to the court however and I bet Slabbed can shed some light on the names which were redacted from the court filing. To set things up though I feel compelled to point out the Times Picayune trail blazed this topic, was SLAPP sued in Nova Scotia by Broussard’s property managers Charles Leary and Vaughn Perret who are Abel’s business partners that are based at the Lodge. Val Bracy at Fox 8 also had a great report on the topic which was retracted earlier this year as part of the SLAPP suit settlement in Nova Scotia filed by Leary and Perret. Through time I have also learned this same bunch has availed themselves of Canada’s defamation laws against several Canadian media outlets such as the Rural Delivery, which did an excellent expose on Leary, Abel and Perret’s attempted fleecing of the Atlantic Canada Opportunities Agency among others. I have also been SLAPP sued by this same bunch in Canada but continued to investigate the topic of Broussard’s use of a real estate development in Canada to launder the alleged bribes that were paid to him. This litigation is currently awaiting a ruling by US District Court Judge Louis Guriola. They have also repeatedly threatened a new media journalist in the Town of Shelburne Nova Scotia for reporting on the court case they filed against me among other things for they simply do not want this topic discussed. With the latest Federal Court filing in the case against Aaron Broussard I think everyone now understands why Charles Leary lied to the Times Picayune in January 2010 regarding their involvement with Aaron Broussard and why their story continually changes with each revelation. More on that in a bit. Yep, all the names were redacted sure but notice that one schmuck paid the same buy-in price for 3% as the others paid for 6%. Most interesting however on the last page was another “Class B” owner besides Aaron Broussard, getting a 4% slice of the freebie Class B shares. Very interesting indeed folks. “The latest round of financial disclosure forms, which cover calendar year 2010, have been filed with the state and former Jefferson Parish President Aaron Broussard is in the mix. In case you forgot, Broussard served an entire eight days last January before resigning amid questions about the business dealings of his top executives and his own curious interests. … But not long after he stepped down, Broussard executed the first in a series of transactions involving a number of his long-held properties. It was kicked off with a 16.65 percent interest in a lot in East Kemptville, Nova Scotia, which was transferred to Kempt Wilderness Lodge for a value of $24,999 or less, based on the categories listed in the financial disclosure forms required by the Louisiana Ethics Board. Okay that Super 8 Motel at 2421 Clearview where Abel and Broussard are holed up in? 1. La Ferme D’Acadie (NS) – Owned by P-A-L. Registered 6/25/98 (first registered 8/27/97 under name of La Ferme D’Acadie as a partnership). Inactive (stricken for failure to reply to notice). 2. La Ferme LTD (LA) – Owned by P-A-L. Registered 9/9/97. Active (but not in good standing for not filing annual report). Last renewed 4/6/10. 1. TP Ltd. (NS) – Owned by P-A-L. registered 12/14/98. Active, reinstated 4/5/11. 2. Scotia Point LLC (LA) – Owned by P-A-L. Registered 4/13/00. Active (but not in good standing for not filing annual report). 1. 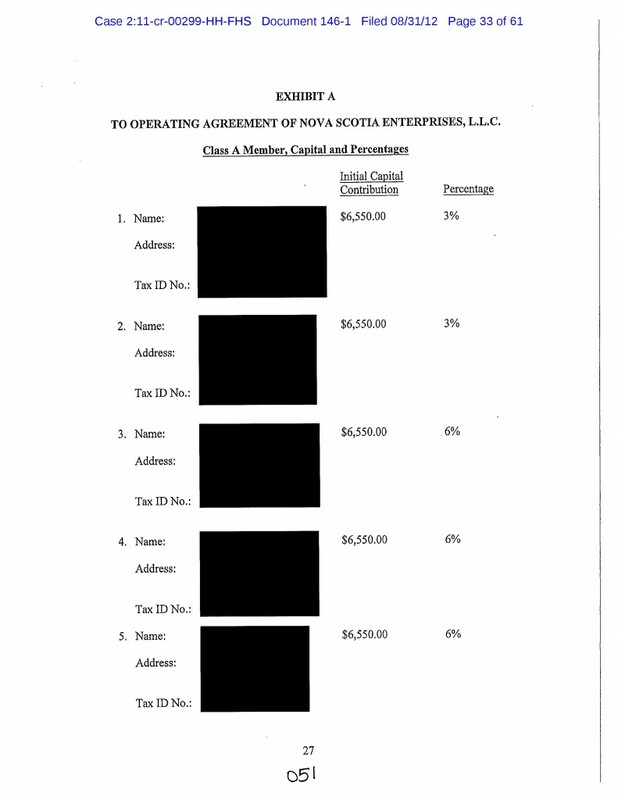 PUBLIC WORKS INVESTMENTS (NS) – Nature of business: “DEVELOPMENT OF RENTAL PROPERTY.” Partly owned by Broussard under his law firm’s name, partly by Karen Parker. No changes of ownership. By some miracle this registration did not get reported in the TP apparently. Registered 6/4/99. Inactive. 2. Public Works Inc. (LA) – Partly owned by Karen Parker, partly by her two sisters, but registered agent is at Broussard’s firm. Registered 1/10/97. Inactive, dissolved 6/23/08. 1. Kempt Wilderness Lodge Services (NS) – Nature of Business: “PROVIDING SECURITY, CARETAKING, BUSINESS MACHINE, ACCESS SERVICES TO WILDNERESS RENTAL PROPERTIES.” Partly owned under Broussard’s law firm’s address. Registered 10/20/03. Change of ownership 10/29/10. Active. 2. NOVA SCOTIA ENTERPRISES, L.L.C. (LA). Entirely owned under Broussard’s law firm’s address, but not under Broussard’s name. However the 6/9/02 TP reported it as: “Nova Scotia Enterprises , LLC, 3329 Florida Ave., Kenner, 70065, Aaron F. Broussard.” Registered 5/20/02. But the LA SOS shows no amendments on file. Odd, no? Active. Basically, guess is, any (or some?) investors may have created a LA entity in a similar fashion. A decade ago, Kenner’s lakefront was mostly a barren strip of silt and riprap. But with the recent groundbreaking for a new hotel and impending construction of what could be one of Jefferson Parish’s most expensive subdivisions, the area is quickly becoming a destination for people who want to get back to the lake. “We’d certainly like to see more people using Lake Pontchartrain, and we believe Laketown is one of the best places to do it,” said Carlton Dufrechou, executive director of the Lake Pontchartrain Basin Foundation. Kenner’s lakefront is attracting more attention these days because it is one of the few places in East Jefferson with room left for development, said Wade Ragas, director of a real estate research center at the University of New Orleans. “It’s clearly investors saying, ‘We’re confident in the future of Jefferson Parish,’” Ragas said. The revitalization began in 1990 when the Pontchartrain Center opened. In 1994, then-Mayor Aaron Broussard dubbed the area Laketown, and the Treasure Chest Casino docked there beside the old Williams Boulevard boat launch. The boat launch was refurbished, and two years later, with money from the casino, Kenner turned the barren West Peninsula shoreline into a neatly landscaped jetty with playgrounds, picnic pavilions and a fishing pier. This past week, ground was broken for a 121-room, three-story Hilton Garden Inn hotel that will be built east of the Pontchartrain Center on land leased from the city. It took Kenner officials four years to get a hotel developer to agree to build in Laketown, and it took even longer for Jefferson Downs owner Marie Krantz to decide to build a gated community, Gabriel, at the site of the former racetrack. In addition to the hotel and the subdivision, Kenner is applying for federal permission to fill in 41 more acres of Lake Pontchartrain to expand its lakefront park. And city officials are scouting for investors to build a sports complex with in-line and ice skating and a swimming pool west of the Pontchartrain Center. The $9 million hotel will be finished next summer, said developer Bryan Dupepe Jr., and will be used by visitors to the casino and the Pontchartrain Center. Dupepe and his family own the Provincial Hotel in New Orleans and built the Fairfield Inn on 32nd Street in Kenner. The Pontchartrain Center, which has 90 percent occupancy on the weekends and 60 percent on the weekdays, has long needed a hotel to house those who come to town for weekend trade shows, General Manager Jeffrey Trahan said. “We have a lot of people who participate in our large consumer shows, such as craft shows, (who) have a need to spend the night or weekend here,” Trahan said. The hotel developers have a 45-year lease with the city, with a 25-year renewal option. According to the lease, the city receives the greater of $50,000 a year in rent or a portion of gross room revenue: 1.5. percent the first and second years, 2.75 percent the third and 4 percent each subsequent year. After the lease expires, Kenner would own the building. Based on projections, the city would receive at least $120,000 a year by the fourth year. Kenner sought a developer for a lakefront hotel for four years. In 1997, the city entered an agreement with a developer for an 180-room Sheraton Hotel, but that deal fell through. Mayor Louis Congemi said the main problem was finding a developer who would build a hotel without special commitments, such as special financing or tax breaks, from the city. That Dupepe and his investors wanted nothing from Kenner showed they were dedicated to the project, Congemi said. That same dedication is obvious in the developers of Gabriel, an upscale 219-home development that is planned for the old Jefferson Downs site, Congemi said. The racetrack closed in 1992, but an off-track betting parlor remains there. Krantz wanted a development that wouldn’t clash with existing neighborhoods, said Lawrence Stoulig Jr., a consultant for the new development. She was approached with offers to buy the property from people who wanted to turn it into a theme park, water park and even a baseball stadium, but Krantz “never really embraced those type of developments,” Stoulig said. Neither did neighbors who often called City Council members after hearing rumors that the land was going to be turned into a theme park, Branigan said. “All anyone wanted to see was a residential development,” she said. A feasibility study determined an upscale subdivision was the best fit for the neighborhood, Stoulig said. The planned subdivision will have a mixture of residences, from “garden homes” on 7,000-square-foot lots to larger homes on lots of up to 24,000 square feet. Prices for the smaller lots will begin at $145,000, Stoulig said. Prices haven’t been set for the larger lots, he said. All of the homes will have to conform to an architectural “Caribbean-like” style, and the gated community will be heavily landscaped and have several parks and paths, he said. New Orleans Aviation Board member Jimmie Martinez has been hired as a consultant by Jefferson Downs racetrack officials in their bid to bring riverboat gambling to Kenner. Martinez, 47, chief administrative officer under Mayor Aaron Broussard for nearly six years before retiring in 1987, was hired last month to help racetrack officials put together a riverboat gambling proposal. 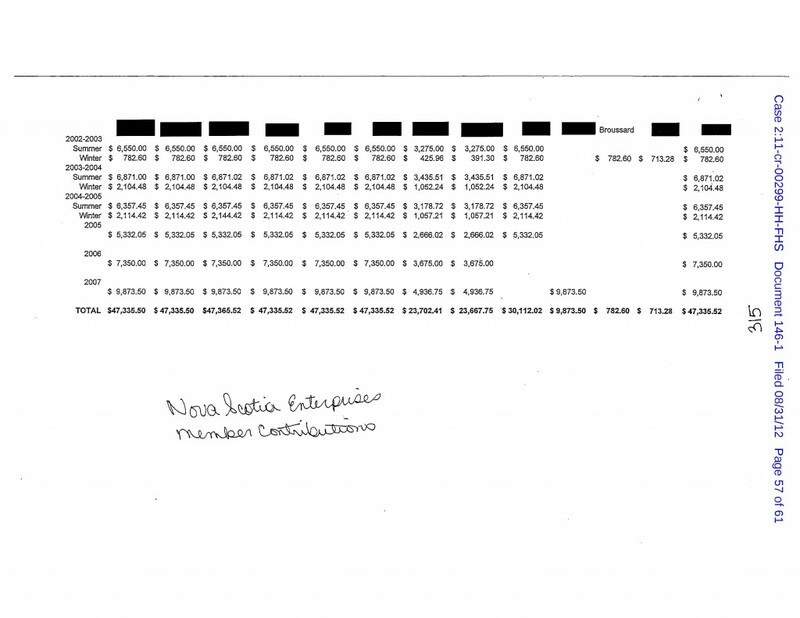 He contributed $5,000 to Broussard ‘s unsuccessful 1991 campaign for governor, campaign finance reports show. Kenner officials issued notices last month to determine who is interested in bringing riverboat gambling to the city. So far, eight companies or individuals, including Jefferson Downs owner Marie Krantz , have shown interest in submitting a proposal. The proposals would spell out the company’s qualifications for leasing a site on the Mississippi River or Lake Pontchartrain for gambling, Broussard said. Martinez, appointed to the Aviation Board in 1989, said his close ties with Broussard and other council members have nothing to do with the gambling consulting job. Martinez, co-owner of Digital Imaging in Kenner and a former employee of Stoulig and Buckley accounting firm, said he frequently fills out proposals seeking work with local, state and national companies. Jefferson Downs officials could not be reached for comment Monday. But Kenner officials said the selection process will ensure that no one, including Martinez, is shown favoritism. Broussard said the city has hired New Orleans attorney Jim Smith to review all proposals. Smith drafted the riverboat gambling legislation and is working with the state Riverboat Gaming Commission to review proposals for the 15 licenses to be awarded statewide, Broussard said. If the proposals meet minimum state requirements, they will be forwarded to the Riverboat Gaming Commission. Only after a company has undergone state scrutiny and received a riverboat gambling permit will local officials be involved in the process, Broussard said. “People with no contacts are exactly on the same footing with Jimmie,” Broussard said. Address 1: 700 CAMP ST. Officer: JAMES E. SMITH, JR.
James E. Smith, Jr. also appears in one of the Nova Scotia companies (KWLS). The above gets added because the connotation of “snow country” ceryainly leads one to thik of the great white north – Canada. Now, regarding the above, let’s just make a leap (if appropriate) and guess that MGK = Marie G. Krantz, and “NS” = Nova Scotia. Address 1: ONE GALLERIA BLVD. Where did the Yenni Building land come from, and who owns or owned the land around it? And, let’s all hope that land near the pumping stations had no role to play in the flooding that ultimately occurred, damaging so many innocent citizens. Let’s hope they did not flood just so some FOA (Friend Of Aaron) could profit. Who owned the Yenni Building land before, and who owns or owned the land around it? And, let’s all hope that land near the pumping stations had no role to play in the flooding that ultimately occurred, damaging so many innocent citizens. Let’s hope they did not flood just so some FOA (Friend Of Aaron) could profit. It’s all online, folks, all online. The assessment for the Super-8 property – 2421 Clearview – is actually shown at “0″. As in Nada. Zip. Nill. Null. For a property that HAS A HOTEL ON IT. Right across from Mrs. Ktantz? Also, that Gabriel property on the old Jefferson Downs location is on a grand avenue called…. Joe Yenni Boulevard. Nice touch, huh? He appeared less dignified and emotionally wrought when thrusting a handful of papers at the judge as he suggested that his blogging nemesis had caused the recent death of a friend, or tried to entice the judge to look at photos of his fever blisters, or petulantly referred to a reporter in the room or, with lips appearing to quiver, told Justice Hood that he just could not testify with that reporter in the room about the affidavit he has submitted for the hearing. A cynical observer might think some exaggeration was at play. So now that we know why Vaughn Perret is having fever blister problems and why their story has morphed through time from barely knowing Broussard to the oh yeah we forgot to mention we managed Broussard’s property in Nova Scotia that appeared in a post on the Trout Point Lodge blog (now deleted). I contacted Leary and Perret’s publicist, Richard Brennan at the Toronto Star yesterday for comment since he played devil’s advocate for them last January in a phone conversation with me but he did not reply. Since I am in litigation with Leary and Perret I can not contact them per my lawyer’s instructions but my previous attempts to solicit comment on the letter from D’Aquila to Leary and Perret yammering about those “lot assessments” aka member contributions also garnered no response so I’m content to let the documents and court filings in Broussard’s criminal case speak for themselves. This is a multi part post, please stay tuned. I’m confused , if Amy Broussard left Jefferson Parish eight years prior to her video appearance on a Boston TV video report on September 1, 2008 ( cited on commenter’s “V’s” post on June 2,2011 in response to Slabbed’s blog on June1, 20011 entitled “From the Reader’s Mailbag”) then who was running People Plus, Inc., as according to “V’s” alleged post Amy Broussard was the only Officer mentioned under People Plus Inc. and living at 13 Rue St. Louis,Kenner,La. on La’s.SOS website ? “V’s” post also alleges and cites from Aaron Broussard’s Financial Disclosure Report that People Plus Inc. received various listed monies from 2000 thru 2008? The Lafayette Square Wino must be highly entertained by this post as she sends word regarding the property around the Yenni Building being owned by Hank Lauricella, who owns Lauricella Land Company. He served in the State Senate from 1972 to 1996. You have the WIno stumped on that one Unslabbed. Care to share? Business: BELIZE INVESTMENT COMPANY, L.L.C. So I noticed that Staci Rosenberg ( James Smith’s law partner if I am reading the corporate docs right she is/was at least the Secy/Treasurer of a firm that sounds like his?) is the Agent for Wisznia Development since 2006…was Marcel Wisznia the architect (?) for the Jefferson Parish Non-Performing Center? Or am I confused? This is hot off the press folks. I can’t comment but this is a public court document filed today in US District Court in the suit filed by Leary and Perret against me. Sop you should thank those two for bringing this post to Guirola’s attention. Did they attach the maps too? Nice to know Slabbed is read daily by many folks apparently. Gotta love the New Social Media. WWL reporting Broussard trial delayed until November because defense attorney had water in his home from Isaac. November 5th in fact. Not nearly as long as they asked Judge Head. I can’t wait for the testimony regarding Broussard’s other alleged crimes. The conclusion I draw from the TPL vs. DKH filing is that the plaintiffs want their summary judgment motion to be heard ahead of Broussard’s trial. If the honest answer is “yes”, what property rentals did y’all approve? The Broussard Politico Mafioso machine is still the lynch-pin for these continued acts of retaliation against innocent victims … AMV and Slabbed !!! I may be wrong, and forgive me Messrs. Perrett and Leary if I am, but did you ever write or publicly state that you never had any involvement with Aaron Broussard? While I’m at it, was Trout Point Lodge ever known as River Bend Lodge? Do you know if Nova Scotia Enterprises ever owed a note or loan to River Bend Lodge? You may not know the answer to that if you never had any involvement with Aaron Broussard or NSE. River Bend lodge is part of the network of on ground cottages owned by third parties whose rentals were handled by Trout Point Lodge itself. There is the main lodge and three cottages if memory serves. Did not see the names of the parish council or current parish president on the government witness list either ? Not only should the Feds be investigating mini-me Roberts close relationship with Broussard … how about all those fleet car sales to Campaign Contributors to Roberts purchased n the car dealerships e has invested in ??? WITF is Deano Bonano not listed … HE is a felon along with Peggy Barton and Charlie Knopp, as co-conspirators in the para-legal payroll fraud and the alteration of public records … AND WHY ARE THE TAXPAYERS OF JEFFERSON PARISH BEING MADE TO PAY THE SALARIES THESE FELONS BARTON AND BONANO ??? & let us not forget Debbie Villio who also a willing participant in the payroll fraud conspiracy…not to mention her own pro quid pro service record fraud! Another Wilkinson Whore: Barton, Bonnano, Gruntz, & Villio! This jack-leg-assery filing by whatever his name is at Jones, Walker is beginning to have a similar aura of TheRiot’s suit against the blogasphere … de ja vu !!! The time period was 2011. “Company” is, of course, NSE. So, did TPL handle the rentals during that time period? Absolutely they did Mr NAAS. Remember that old Millie Ball article on the Lodge from it’s early days? Danny Abel was the promoter of the entire deal. Perret was originally a love interest of Abel’s, it was only after Abel sent Perret to Cornell that he met Leary, bringing him back to Louisiana after. oK. 59 names on the Feds witness list… so many who did not make the cut. yeah: looks to be a race to get rulings before Nov 5th alright. verrrrry interesting. I know I have been out of pocket for some time and don’t plan to be back before late November but something struck me reading the spead sheets and blacked out lists that total shy of a 800k with the sell of the 42%. In the end that could be chump change in the big picture. Do any of you remember Larry Bankston and his Condo rental program? By the way didn’t Aaron have a condo in Gulf Shores also…Just wondering out loud! Thank you Ignatius … Coulon and Broussard were running this whole Orange Beach condo scam with JP campaign contract contributors for some time … I’m just wondering why Letten chose to over look the obvious once again ??? To LOUIS GRUNTZ: Did you at any time advise your boss Parish Attorney, Tom Wilkerson, and/or the other Deputy Assistant Parish Attorney Peggy Barton, as well as the Administration and Councilmembers, of the legal requirments imposed on governmental entities re Record Management laws in the State of Louisiana , including but not limited to Record Retention, Litigation Holds and the effect(s) both Civil and Criminal of non-compliance (such as SPOLIATION)? If yes, please advise when you did so and why. Witness list includes Albert Winters, retired LAED prosecutor now does part time for Jeff DA. I met last June 12, 2012 with Mr. Winters on my N. O. Federal court matter. Mr. Winters as a Judicial Officer NEEDS TO COME FORWARD on matters Mr. Winters is first hand aware of concerning PUBLIC CORRUPTION OF LAED COURT JUDGES. The witness list is fueling massive speculation that another indictment(s) (non-River Birch) is immienent once the Broussard/Wilkinson case is over with. The lack of JP councilmembers, state legislators, and state employees is a glaring omission. The thought process is that they have enough on Broussard and Wilkinson to put them away for 25 years each. Broussard is all but assured of a life sentence and Wilkinson is assured of at least 15 to 20 years in prison. Vegas odds say the Feds didn’t want to call any former/current councilmember or other political leader in this case (Minus the Connicks) because they didn’t want them testifying in this case. The government doesn’t want to blow its credibility in another unnamed JP corruption case and if one or more of those public politicians are indicted the government sure didn’t want to call them as witnesses in this case when they might indict one or more of them later in another criminal matter. Pres says Wilkinson & Broussard will become cooperating witnesses for the government after this trial is over with in an effort to reduce their sentences. Damn right Pres I am 100% with you on that ! The missing council members and current parish president names from the witness list tells the story, those names who should be on and aren’t are the targets, so the girls reason to rush for a hearing is obvious they are finding themselves head deep in their own crap . I was just reading an old (2008) American Eagle Latitudes and found an article that says y’all added the River Bend Lodge to your wilderness retreat, and that River Bend Lodge and Cottages were open year-round. Imagine my surprise. Did y’all buy River Bend Lodge and Cottages from Nova Scotia Enterprises in 2008 or before? I also found a 2004 document that says TPLL sold Lot 20 to Aaron Broussard, Roy D’Aquila, Lawrence Stoulig, Jr. and James E. Smith, Jr, doing business as Kempt Wilderness Lodge Services for the grand total of $1 (one dollar)! Not “$1 and other good and valuable consideration”; just a buck! Do y’all have any more of those lots for sale at that price? also found a 2004 document that says TPLL sold Lot 20 to Aaron Broussard, Roy D’Aquila, Lawrence Stoulig, Jr. and James E. Smith, Jr, doing business as Kempt Wilderness Lodge Services for the grand total of $1 (one dollar)! Not “$1 and other good and valuable consideration”; just a buck! Did they pay cash money? I obviously had a little problem posting…. No you don’t, your post is spot on in fact and a great way to roll out the next part of the series, Dirty deeds, done dirt cheap: On the Slabb tomorrow! Ah, I love the smell of roasted douchebags in the morning……smells like……VICTORY! Douglas Handshoe are you trapped under a pile of goats and can’t get up? We haven’t heard from you in awhile. Previous Previous post: Tuesday Music: Dedicated to the twits in the Slabbed Nation that think this blog is violent. Next Next post: Here are a couple of maps of the Trout Point Development as a nice visual aid for our readers.